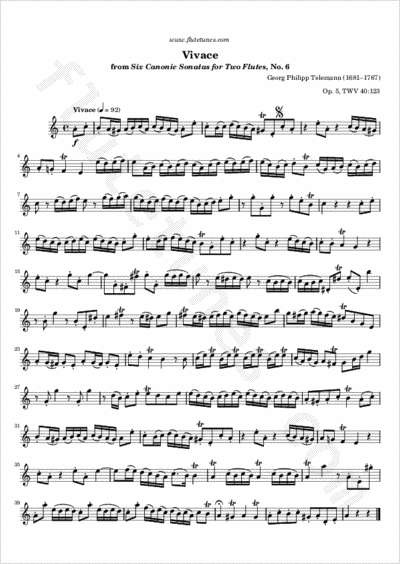 This is the first movement from Georg Philipp Telemann's sixth Canonic Sonata for two flutes. As with all of these sonatas, the two players play the exact same melody, but (in this case) two measures apart. Most of the trills can be played with a turned ending.